I am delighted to announce that I have won the Snapshot Research Image Competition run by Phenotype, a magazine of the Oxford University Biochemical Society. 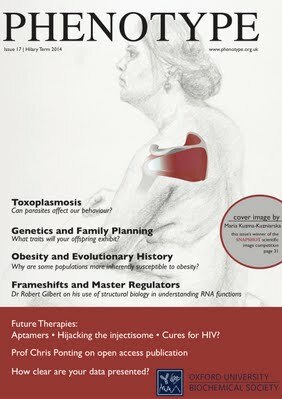 My work will be featured on the cover of the next issue of Phenotype (Hilary 2014). This entry was posted in Uncategorized on 2013/12/29 by marysia.